HAKODATE, HOKKAIDO - Takashi Odajima picked up a cracked and faded photograph and dusted it off with his sleeve. He smiled a little sadly at the image from long ago, back when he was a baby boy. Odajima’s family has lived for generations in Hakodate, Hokkaido. It’s a city that runs on squid — a place where restaurants outside the local fish market advertise the start of the squid-fishing season with colorful banners. Using the salt, his family began making and selling shiokara, a fermented squid dish that derives its name from its taste: “salty-spicy.” Because it keeps for days without refrigeration, it was an important source of protein for the starving postwar population. Seven decades later, most bars still serve it as an appetizer, and small bottles are sold in supermarkets as a condiment to be eaten with rice. 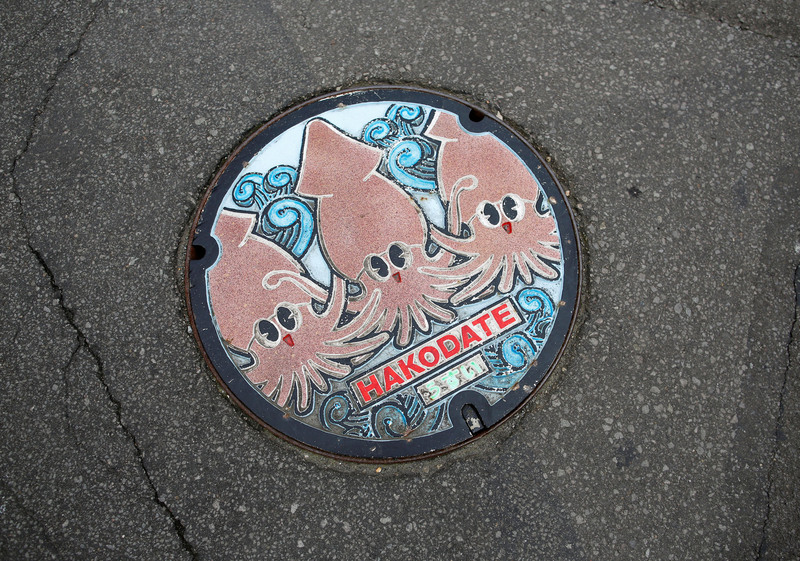 Out of more than a dozen types of squid eaten here, the Japanese flying squid is so central to the national cuisine, it’s sometimes referred to as maika (the true squid). 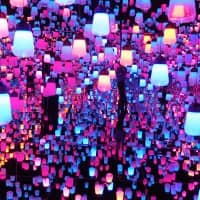 But now, fluctuations in ocean temperatures, years of overfishing and lax regulatory oversight have drastically depleted populations of the translucent squid in waters around Japan. As recently as 2011, fishermen were hauling in more than 200,000 tons of flying squid a year. That number had fallen by three-quarters to 53,000 tons last year, the lowest harvest since the national fisheries cooperative started keeping records more than 30 years ago. Researchers say they expect catches of flying squid to be even smaller this year. Fish have always followed changing conditions, sometimes with devastating effects for people, as the starvation in Norwegian fishing villages in past centuries when the herring failed to appear for a season will attest. But what is happening today is different: The accelerating rise in sea temperatures, which scientists primarily attribute to the burning of fossil fuels, is causing a lasting shift in the fishing industry. 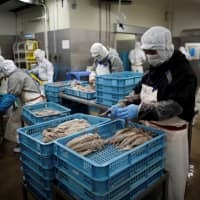 In Japan, average market prices of the once-humble squid have nearly doubled in the past two years, quickly putting the dish out of reach for many blue-collar and middle-class families that grew up eating it. One morning in June, Odajima joined a huddle of men at the docks for one of the first squid auctions of the season. They looked over three neat piles of white Styrofoam boxes, comforting one another that it was still early in the season. 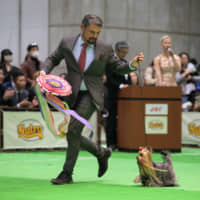 “S—-, they’re all tiny,” one buyer said. His friend walked away without waiting for the bidding to start. 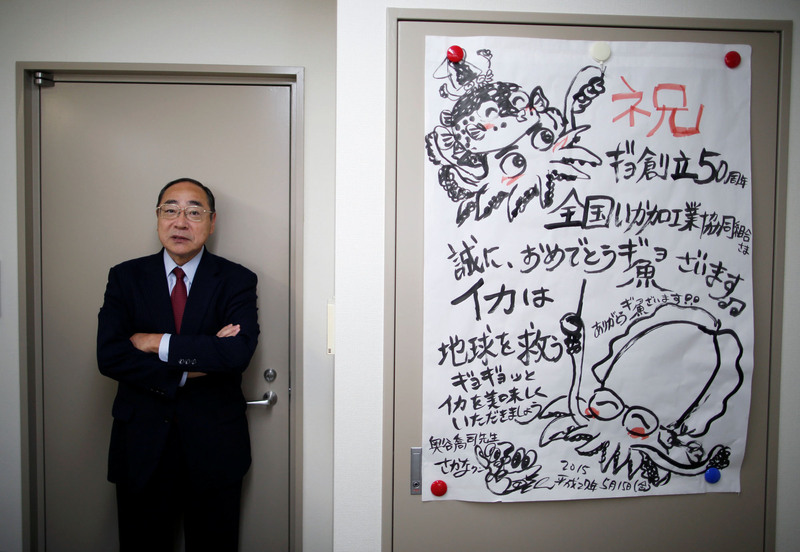 The squid shortage has become so dire, anxious bankers with outstanding loans to those in the industry have started showing up at the annual seminars held by Yasunori Sakurai, one of the country’s foremost experts on cephalopods. The flying squid earns its name from the way it can spread its mantle like a parachute to draw in and eject water, using propulsion to fly above the waves. The squid spend their short life — just over a year — migrating thousands of miles between the Sea of Japan and the Pacific Ocean, mating, then returning to lay eggs in the same area where they were born. The Sea of Japan has warmed 1.7 degrees Celsius in the past century, making it one of the fastest-warming areas in the waters surrounding the archipelago. 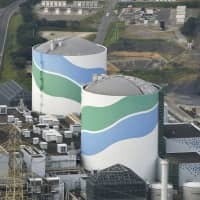 Based on predictions by Sakurai’s former students now at the Fisheries Research and Education Agency, surface temperatures in these waters may rise an additional 3.7 C over the next century. That’s taken a toll on squid. 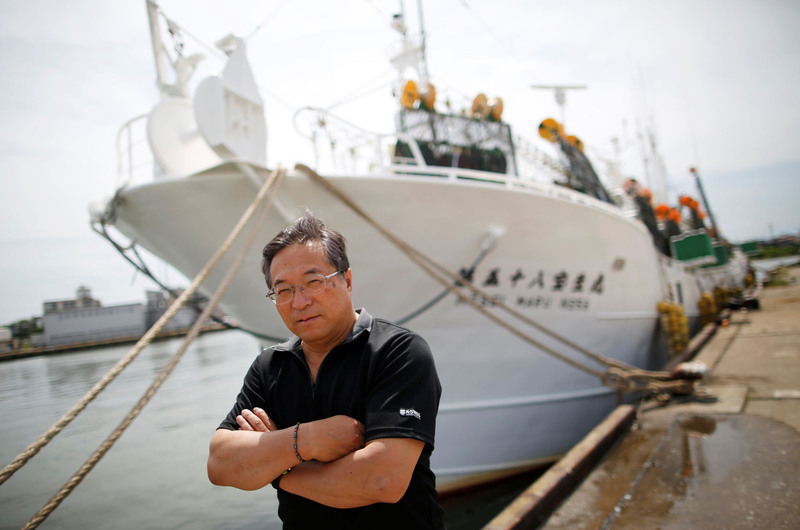 Others, like retired regulator and researcher Masayuki Komatsu, argue that although officials and fishermen are loath to admit it, the country’s rampant overfishing and lax regulatory oversight are also to blame for the shortage. “They all blame it on climate change, and that’s the end of the discussion for them,” said Komatsu, who served as a senior official in the fisheries agency until 2004. Since the country started setting catch limits for the flying squid 20 years ago, fishermen have never come close to hitting the limit of the quotas. This year, the fisheries agency said it will allow fishermen to catch 97,000 tons of squid, a third less than the government’s limit for last year, but nearly double what fishermen actually caught during the same period. Ripped curtains and fraying bits of cardboard cover windows of the empty storefronts along the main shopping street in Sakata, a town in Yamagata Prefecture that once thrived as a major trading hub for rice and later as a fishing port. Old signs for grocery stores, camera shops and beauty parlors are barely visible through a thicket of vines. On an early summer day, the docks were deserted except for a group of young Indonesian men living in shared rooms next to the port. 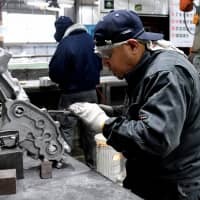 They’re the country’s answer to an aging industry, part of an army of young foreign men brought into the country to take fishing jobs spurned by Japanese men. Now 60, Saito has steered dozens of ships all over Japan. 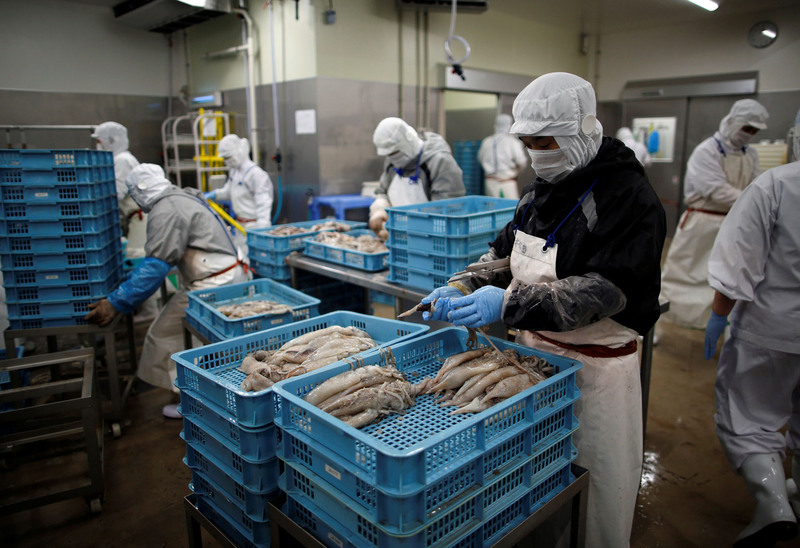 When Saito started fishing, Japan had a fleet of more than 400 ships harvesting squid. He now captains one of the 65 remaining ships specially equipped with powerful light bulbs that lure squid from dark waters. 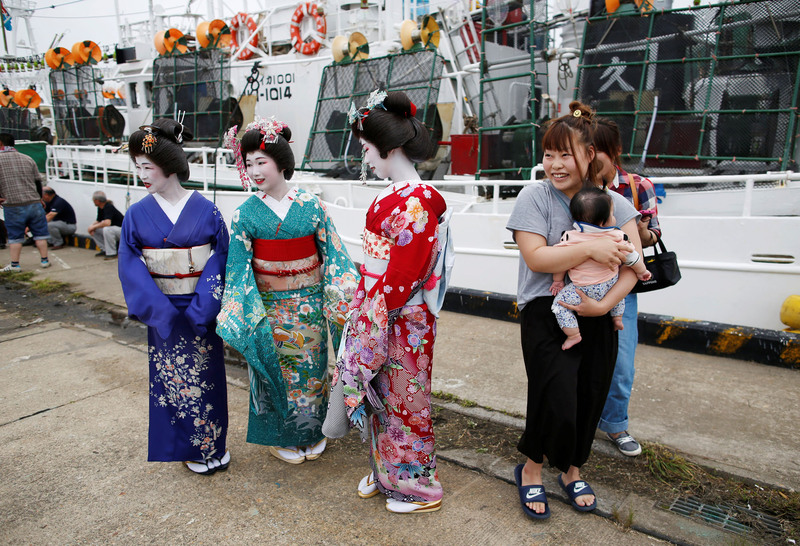 In the last decade, the number of fishermen in Japan has declined by more than a third to fewer than 160,000. Of those left, an average fisherman earns about $20,000 (¥2.25 million), not even half of the national median income. “Last year, the fishing season ended in November because the squid disappeared” two months earlier than usual. He unlocked his phone to message another customer that he had nothing to sell that day. Elsewhere in Tsukiji — the largest wholesale seafood exchange in the world before it was relocated to Toyosu — hundreds of other family-run fish traders were also awaiting this season’s catch. But by the time cases of squid finally began to arrive later in the summer, many of the traders were preparing to close their stalls to abandon the 80-year-old market. In October, hundreds of fishmongers moved to Toyosu, a gleaming new market on the waterfront that cost more than $5 billion (¥563.5 billion). But others, their businesses already failing from a drop in consumer demand, higher operational costs and a lack of interest from the families’ younger generation, didn’t make the move. Masako Arai was one of them. Her husband’s family started their wholesale fish trading business 95 years ago, first in Nihonbashi, where the previous market was destroyed in the Great Kanto Earthquake in 1923, and later in Tsukiji. 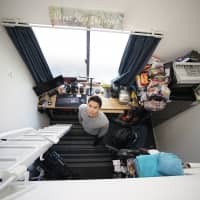 Near Arai’s store were empty spaces where families had tended shops for generations; more than a hundred businesses have closed in the past five years. Nearly a third of the remaining 500 fish traders at the market were losing money. Nor do the chefs who create the country’s signature dish. Nagayama doesn’t allow anyone else to handle fish behind the counter, where customers pay up to $300 (¥34,000) each for the chef’s nightly omakase course. Although his tiny bar is usually fully booked, he doesn’t see a future for it — he has no children and no heir. “It’s all depressing news, not a great topic of conversation over drinks,” he said. Nonoyama manages the National Cooperative Association of Squid Processors a trade group overseeing 79 companies that manufacture everything from squid-flavored potato chips to squid jerky. They’ve been some of the hardest hit by the recent run of poor harvests, Nonoyama said. It’s the same question that Odajima, the Hakodate squid merchant, asks himself every day. He has nearly doubled prices in the past two years to ¥700 per bottle. Two Chinese women sampled glasses of Japanese wine under a pair of Edison bulbs at the shop counter. 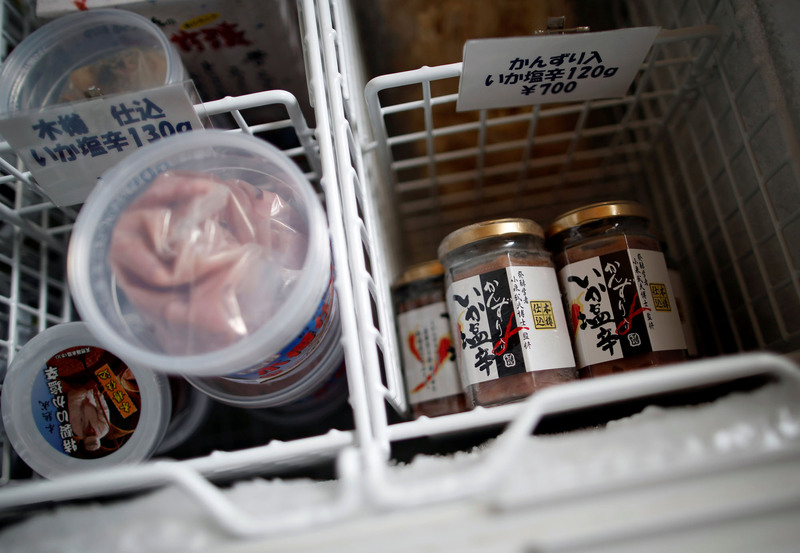 Shohei Okawa, the store’s 36-year-old manager, waited patiently as Odajima pulled several jars of shiokara out of a cooler he had carried on the plane from Hakodate. Folded copies of Tokyo’s subway map peeked out of his large duffel bag.